Rita Claro (Miami) - Book Appointment Online! 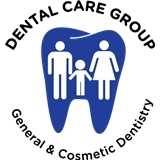 Welcome to Dental Care Group of Miami & Kendall Using the latest technology coupled with years of experience, Dental Care Group has rapidly evolved into one of the premier dental clinics in Miami & Kendall, FL. Together, our doctors and staff are committed to establishing a personal relationship with our patients and providing the highest quality dental care, in the most professional and compassionate manner, for each and every patient encounter.